There are pivotal periods of infrastructure evolution that are subsequently seen as revolutionary. In the early 1980’s employers started grasping the notion of distributed computing. Before those times computers were big expensive beasts. In the late 70’s and early 1980’s there were diverse ‘mini’ and desktop ‘personal’ computer choices – with equally diverse Operating Systems. The critical step into personal computing had little to do with technological progress – indeed some saw it as retrograde. It was almost entirely about legitimisation. When IBM defined a PC Disk Operating System (later adopted by Microsoft) some feared it would bring chaos and confusion to their ordered world. The worst of those unsettling fears didn’t materialize but the scope for ‘creative disruption’ was boosted. Settling on a standard (albeit proprietary) backed by the global covenant of the IBM brand, created huge confidence for investors and businesses – legitimising what had previously been regarded as slightly suspect. Moreover it exemplified the very best way to utilise brand strength in the global economy. It must have puzzled many of IBM’s loyal employees at the time. It probably qualified as an ‘unnatural corporate act’. It certainly demanded inspired leadership from within their ranks. The point of recalling this story is to contrast those heady times with today’s challenges for infrastructure investors. Some, like Apple and Google, are not afraid to move on – never resting in pursuit of progress. In the connectivity arena, however, some incumbents seem determined to keep the lid on progress for fear of corporate calamity and/or investor uncertainty. In matters of online ‘eCommerce’ activity it is generally recognized that the UK has ‘got it’ big time. That is to say the nation simply cannot get enough of it. And therein lies the broadband rub. Some cannot get broadband at all – even in the urban jungle of London – even at the old 2Mb/s floor. From the mid-1960’s onwards the capacity of copper to cope with ever-faster data rates (whilst still being used for phone calls) has been remarkable. But that technological stretch is now failing to keep up with demand. In computing, IBM chose not to defy progress. In broadband connectivity the big brands, not yet ready to admit the game is up, have built two defences. Firstly they’ve adopted network designs that are difficult to unbundle. Secondly, they’re leveraging their old networks by a very gradualist approach to fibre – unfortunately leaving sites at the end of long lines inadequately served. Some attempt at legitimisation is evident – leastways from government. 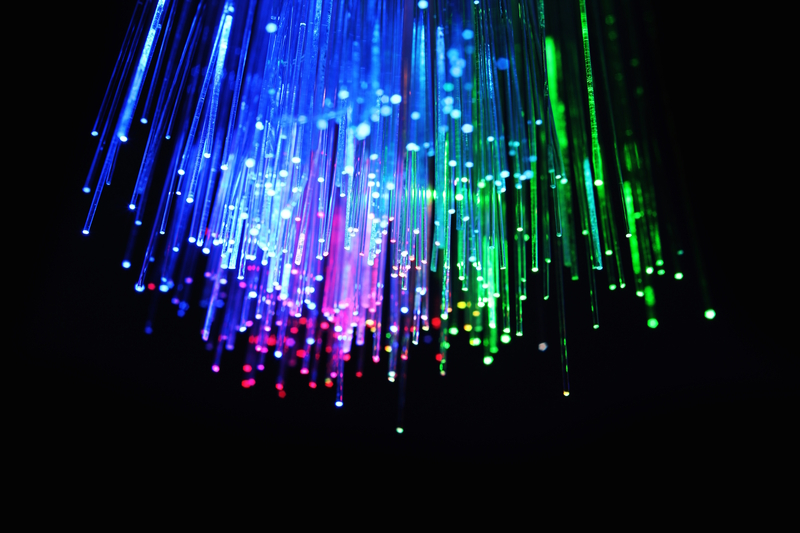 It may be reassuring for investors to know Ministers believe in getting better broadband. Interestingly the PM’s recent ‘brave’ promise of a universal 10Mb/s broadband commitment is a massive challenge to incumbents and a great opportunity for future-proofed alternative networks with no legacy assets to preserve. That message is fast getting across to local government leaders who’d rather see economic growth as an antidote to further austerity. Pretty much everywhere the old question ‘how much capacity do they really need’ is derided. The question only existed because pre-fibre networks couldn’t cope. There is now no doubt about market demand for properly future-proofed networks – but let’s not fret about past mistakes. This is the time for fresh thinking. Fortunately, it’s also a time when all the old investment parameters are being reset. The costs of doing the job properly have fallen. The economic value of doing it properly has been recognised. The demand for doing it properly never greater. The costs of borrowing never cheaper. Return on investment ever higher. The danger of living in the past never more evident. Even the future for mobile services depends on kicking old addictions to legacy networks. Astute investors are primed for the next wave. To be fully effective, flipping would have been better taken at the flood but that moment has now passed and brand power is withered by dither and delay. Establishing long-term expectations, national imperatives and investor confidence is complex but is now no longer the preserve of politicians or incumbents. This then is a critical time for emergent leadership, investors and for the entire economy. Regulators have previously understood their role in remediation of past market failures. In the absence of any credible long-term policy objectives from government is it possible that the market regulator can choose to be more forward looking? Investors routinely ask ‘Is this all I’m ever going to get?’ Can ‘market failure’ now, similarly, be understood (by the regulator) as inclusive of an apparent lack of imagination and any adequate sense of direction? If so, how could that forward-looking viewpoint be used to legitimize and incentivize new competitive investment? In Ofcom (and their Digital Strategic Review) we must trust. The nation expects.